Nevada Humane Society Carson City – Nevada Humane Society | With Shelters located in Reno, and Carson City, the Nevada Humane Society Caring is a charitable, non-profit organization that accepts all pets, finds them homes, saves their lives, and is recognized as a leader in animal sheltering and stewardship. 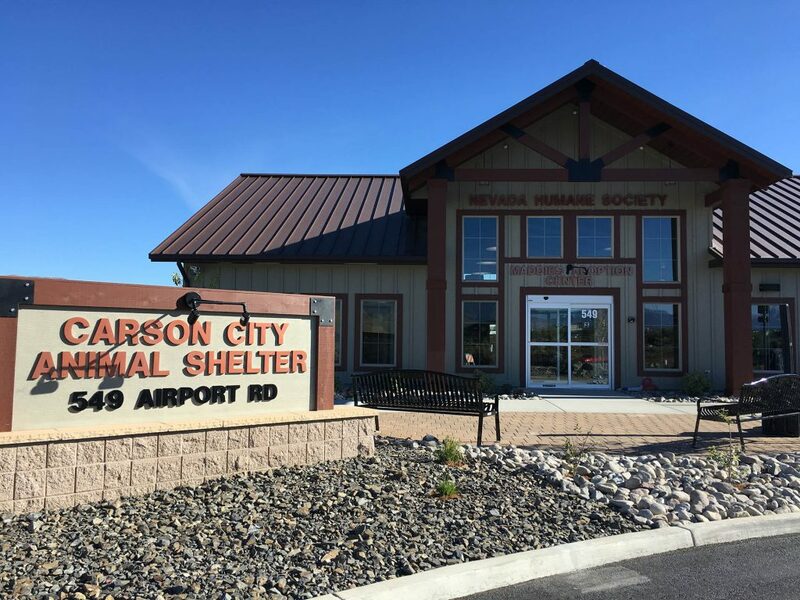 In August of 2014, City Manager Nick Marano announced a new public/private partnership between Nevada Humane Society and Carson City Animal Services (CCAS) designed to launch a new chapter in animal services in Nevada’s capital city. Carson City, an independent city of almost 60,000 residents, lies 30 miles south of Reno and adjacent to Washoe County, the primary service area of NHS. CCAS is responsible for community pet adoptions as well as dog licensing, bite investigations, reporting lost and found animals and enforcement of state and local animal regulations, except wildlife. Though geographically close to Washoe County, Carson City is currently worlds away in its lifesaving animal efforts. NHS is committed to helping CCAS significantly boost its live release rate as well as streamline operations for more effective service delivery. When Nevada Humane Society officially assumed leadership of animal services in neighboring Carson City on October 1, 2014, we did so with one goal in mind: to transform Nevada’s capital city into the state’s second metropolitan area to become a no-kill community, where all healthy, treatable, and rehabilitatable animals are saved. When Nevada Humane Society took over management of CCAS, the life saving rate was just 55% – an enormous disparity from the 90% plus that Washoe County has achieved since committing to a no-kill community in 2006. Almost immediately, lifesaving increased from 55% to 95%, where it remains today, as the brand new shelter is opened in October 2016. Funding for Nevada Humane Society Carson City Center came from revenue from a 1/8 percent sales tax, donations from Nevada Humane Society and Carson Animal Services Initiative, or CASI, whose mission has been to raise money to help Carson City build and equip a safe and inviting animal shelter to help the animals in need find good, loving homes. A large portion of funding also came from two organizations who have consistently supported Nevada Humane Society in all of their lifesaving efforts. Maddie’s Fund®, a national family foundation, awarded $383,000 to Nevada Humane Society to outfit the new Carson City shelter, which will aid in the lifesaving mission and allow them to adequately provide for the community. The Petco Foundation contributed $100,000, which will be used to care for adoptable dogs, providing them with indoor/outdoor housing and more.